Burnley beat Nottingham Forest 1-0 with a goal from Sam Vokes to stay second in the table but it was on a night when visiting boss Dougie Freedman felt they should have got something from the game in the second half. Freedman saw his side go down to the one goal on 68 minutes and admitted: “It’s difficult to take. I think you’ve just seen why Burnley are at the top of the league. “I felt they were the better side in the first half. We defended very well to keep it 0-0, but in the second half we were the better side. We controlled the game defensively and on the ball we were fantastic. 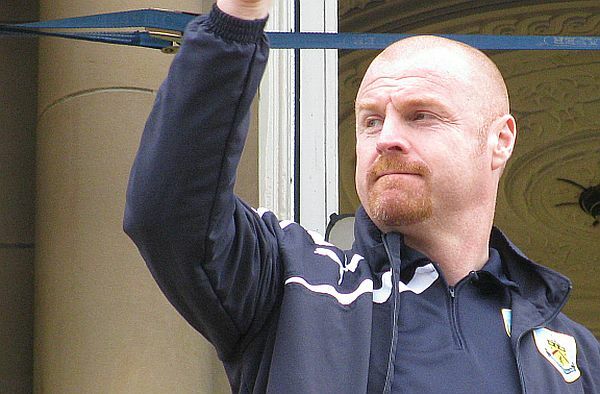 Sean Dyche saw his team win a fourth successive home game and said afterwards: “I was just really pleased tonight against a side who have been renowned this season for being defensively sound. They have frustrated some teams home and away, but they didn’t manage to do that over the ninety minutes tonight. “There were a lot of good things tonight in a very dominant performance, particularly in the first half. The only thing tonight is I thought the crowd were a bit edgy and that transmits itself out on to the pitch. We are not normally like that. He continued: “We were a wall at the back and I thought the whole back five were solid. I thought we were just a bit flippant in that first half with the ball, but people were probably wondering how we weren’t ahead in the game. “They had a reaction after half time and that can happen, but we were resolute in our organisation and with the ability to defend as we are doing. In the end, although the scoreline doesn’t suggest it, I thought we won the game quite comfortably and it was a great goal to win it.